My first food post and it is only appropriate that it is my favorite vegetable and ultimate go-to side. Brussels sprouts seem to be entirely underrated. It took me 20 years to even try one and I was shocked because they are delicious! My favorite way to serve them is lightly charred. This recipe is so easy I'm sure that it will become your favorite too (and this recipe is surprisingly healthy with no butter). Slice off the stem and chop larger sprouts in half (anything larger than a 'one-bite' size). Add sprouts to a large bowl for tossing. Drizzle with 2 tbsp extra virgin olive oil. Add 1/2 tsp salt, 1/2 tsp pepper, and 1 tsp garlic. Chop 1/2 medium size yellow or red onion (optional) and add to bowl. Spread evenly on a cookie sheet (halved side down). 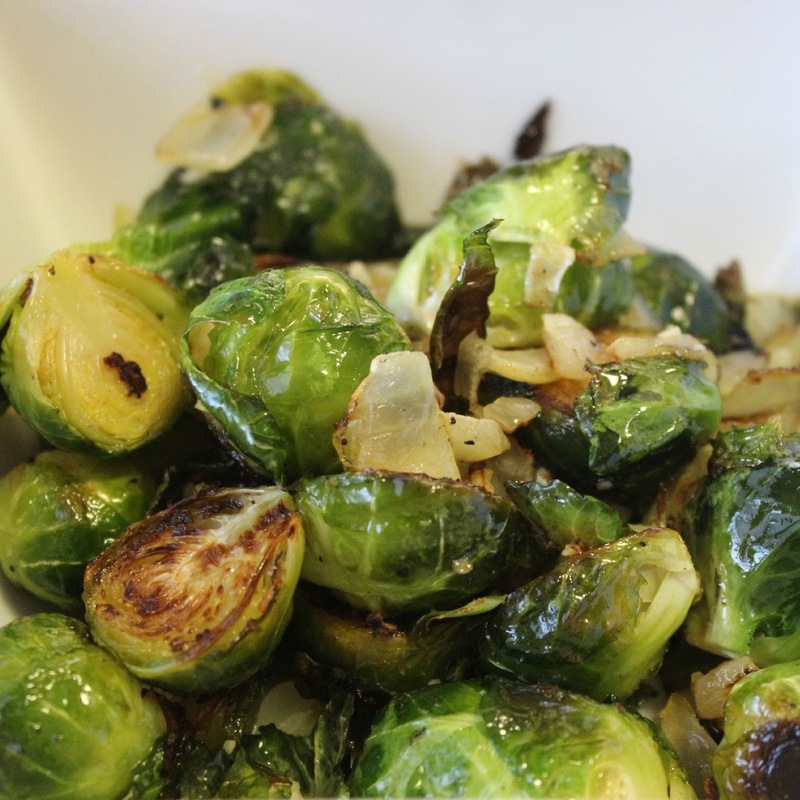 Bake at 375°F for 20-25 minutes until sprouts are lightly charred.